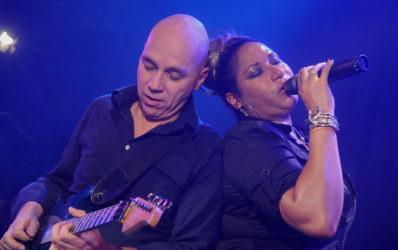 20 years ago Juan de Marcos Gonzalez, the singer for the Cuban formation Sierra Maestra, launched the great renaissance of Cuban dance music. He also urged World Records Labels chief Nick Gold to produce a quality album of Cuban music. 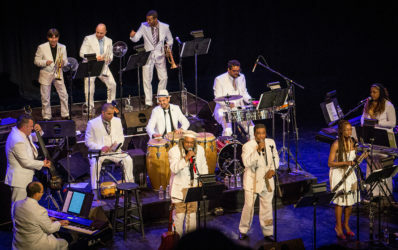 The result made music history as the Buena Vista Social Club. 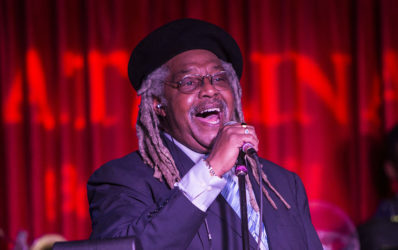 His Afro-Cuban All Stars bring these legends back together. 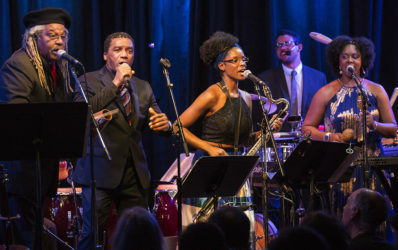 With the deaths of some of the original musicians, today’s Afro-Cuban All Stars is a four-generation project which is best experienced live as they present a large buffet of Cuban styles ranging from son to rumba, danzon to timba, bolero to cha chacha, salsa to guajira. Check it out! The air in Vienna apparently contains an odorless poison. How otherwise to explain why young and optimistic young people flock to the Austrian capital and within a short period of time adopt a grim and pessimistic outlook on life? The band 5/8erl in Ehr’n cannot only sing about such a transformation but appears to live it. It begins to get weird when this combo (made up mainly of non-Viennese natives) ponders the male psyche. On their last album, melancholy is practically celebrated as a form of euphoria. And it is a sign of this group’s quality that their tales of deceit have the most beautiful melodies. 5/8erln in Ehr’n is often at their most soulful when they are at their most negative.